Who supervises the probate process? Who has preference to be a personal representative? What rights to the surviving family have in the probate process? Where can I obtain legal advice on this issue? Probate is a court-supervised process for identifying and gathering the decedent's assets, paying taxes, claims and expenses and distributing assets to beneficiaries. The Florida Probate Code is found in Chapters 731 through 735 of the Florida Statutes. Probate is necessary to wind up the affairs the decedent leaves behind. Probate also serves to transfer assets from the decedent's individual name to the proper beneficiary. Florida has had probate laws in force since becoming a state in 1845. Florida law provides for all aspects of the probate process, but allows the decedent to make certain decisions by leaving a valid will. A will is a writing, signed by the decedent and witnesses, that meets formal requirements set forth by Florida law. A will usually designates a personal representative and names beneficiaries to receive probate assets. Please follow these links for more specific information about Florida Wills and Florida Living Wills. No Surviving Spouse, But Lineal Descendants. If there is no surviving spouse, but there are lineal descendants, the lineal descendants share the estate, which is initially broken into shares at the children's level, with a deceased child's share going to the descendants of that deceased child. No Surviving Spouse, No Lineal Descendants. If the decedent left no surviving spouse or lineal descendants, the probate property goes to the decedent's surviving parents, and if none, then to the decedent's brothers and sisters and descendants of any deceased brothers or sisters. The law provides for further disposition if the decedent is survived by none of these. Exceptions to Above. The above provisions are subject to certain exceptions for homestead property, exempt personal property, and a statutory allowance to the surviving spouse and any lineal descendants or ascendants the decedent supported. Regarding homestead, if titled in the decedent's name alone, the surviving spouse receives a life estate in the homestead, with the lineal descendants of the deceased spouse receiving the homestead property upon the death of the surviving spouse. If there are no lineal descendants, the surviving spouse receives full ownership of the homestead outright. A Circuit Court Judge presides over probate proceedings. The judge appoints the personal representative and issues "letters of administration," also referred to simply as "letters." This document shows to the world the authority of the personal representative to act. The Judge also holds hearings when necessary and resolves all questions raised during the administration of the estate by entering written directions called "orders." The personal representative is the person, bank or trust company appointed by the court to be in charge of the administration of the estate. The generic term "personal representative" has replaced such terms as "executor, executrix, administrator and administratrix." Publish a "notice of administration" in a local newspaper, giving notice of the administration of the estate and of requirements to file claims and other papers relating to the estate. Beginning January 1, 2002, this notice will be called a "notice to creditors." Beginning January 1, 2002, serve a "notice of administration" on specific persons, giving information about the estate administration and giving notice of requirements to file any objections relating to the estate. Conduct a diligent search to locate "known or reasonably ascertainable" creditors, and notify them of the time by which their claims must be filed. In almost all instances the personal representative must be represented by a Florida attorney. Many legal issues arise, even in the simplest estate administration. The attorney for the personal representative advises the personal representative on rights and duties under the law, and represents the personal representative in estate proceedings. The attorney for the personal representative is not the attorney for the beneficiaries. A provision in a will mandating that a particular attorney or firm be employed as attorney for the personal representative is not binding on the personal representative. Prior to commencement of probate proceedings, a creditor can file a caveat with the court. Upon publication of notice of administration (or after January 1, 2002, a notice to creditors), a creditor or other claimant may file a document called a "statement of claim" against the estate with the Clerk of the Circuit Court where the estate is being administered. This claim is generally required to be filed within the first three months of publication of a prescribed notice in a countywide newspaper. This three-month period is often referred to as the "non claim period." The personal representative or any other interested person may file an objection to the statement of claim, after which the claimant must file a separate independent lawsuit to pursue the claim. The personal representative is required to use diligent efforts to give actual notice of the probate proceeding to "known or reasonably ascertainable" creditors, to afford them an opportunity to file claims. A valid claimant is not viewed as an adversary of the personal representative but rather must be treated fairly as a person interested in the estate until the claim has been satisfied or otherwise disposed of. Final Form 1040 income tax return, reporting income for the decedent's final tax year. Form 706 estate tax return, reporting the gross estate and deductions, depending upon the value of the gross estate. The personal representative may be required to file other returns. Additionally, the personal representative has the responsibility to deal with issues arising from tax years prior to the decedent's death (including tax returns that were filed by the decedent or that should have been filed). The personal representative is required to send a copy of the probate inventory to the Florida Department of Revenue. "If the decedent died prior to January 1, 2000, the personal representative is also required to file a Preliminary Notice and Report with the Florida Department of Revenue. If the decedent died after December 31, 1999, and a federal estate tax return is not required to be filed with the IRS, then the personal representative is required to record in the public records (and file in a formal estate administration) an Affidavit of No Florida Estate Tax Due. If the decedent died after December 31, 1999 and a federal estate tax return is required to be filed with the IRS, then the personal representative is required to file a Florida estate tax return, Form F-706, with the Florida Department of Revenue." Regarding Florida's intangible tax, the Florida Department of Revenue may review the inventory to determine whether the estate, or the decedent while alive, failed to file a required intangible tax return or to pay intangible tax. Regarding federal estate taxes, the Florida Department of Revenue may receive all or a portion of the "state death tax credit" amount allowed by the IRS. The federal estate tax return is initially due nine months after death and may be extended for another six months, for a total of 15 months. If a federal estate tax return is required, the final accounting and papers to close the probate administration are due within 12 months from the date the tax return is due. This date is usually extended by the court because often the IRS' review and acceptance of the estate tax return are not completed within that period. Estates that are not required to file a federal estate tax return and that do not involve litigation may often close in five or six months. The fee for the personal representative is usually determined in one of five ways: (1) as set forth in the will; (2) as set forth in a contract between the personal representative and the decedent; (3) as agreed among the personal representative and the persons who bear the impact of the fee; (4) as the amount presumed to be reasonable as calculated under Florida law if the amount is not objected to; or (5) as determined by the judge, applying Florida law. Likewise, the fee for the attorney for the personal representative is usually determined (1) as agreed among the attorney, the personal representative and the persons who bear the impact of the fee, (2) as the amount presumed to be reasonable calculated under Florida law, if the amount is not objected to, or (3) as determined by the judge, applying Florida law. The third alternative to Formal Administration is "Disposition Without Administration." This is available if estate assets consist solely of exempt property (as defined by law and the Florida Constitution) and non-exempt personal property, the value of which does not exceed the combined total of up to $6,000 in funeral expenses, plus the amount of all reasonable and necessary medical and hospital expenses incurred in the last 60 days of the last illness. The fourth alternative to Formal Administration is only available for decedents who were not Florida residents as of death. This proceeding is to admit the will of a nonresident decedent to record, if certain requirements are met and the will devises Florida real estate or any right in Florida real estate. When admitted to record in any Florida county where the real estate is located, the "foreign will" serves to pass title to the real estate as if the will had been admitted to probate. This procedure is available only if either two years have passed from the decedent's death or the domiciliary personal representative has been discharged and there has been no estate administration in Florida. If the decedent created a revocable trust, in certain circumstances, the trustee may be required to pay expenses of administration of the decedent's estate and enforceable claims of the decedent's creditors. In any event, the trustee is required to file a "notice of trust" with the court where the decedent lived, giving information concerning the settlor and trustee. 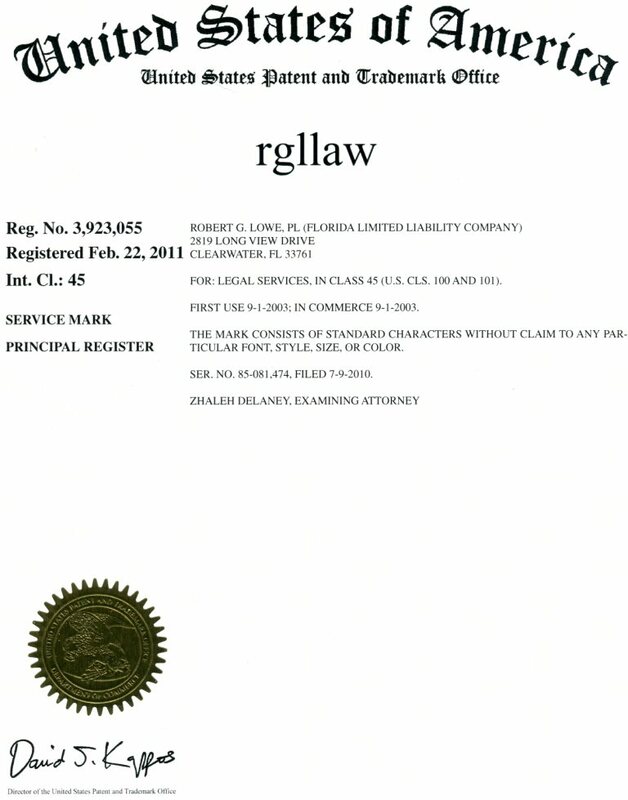 This information has been prepared by the Consumer Protection Law Committee of The Florida Bar and the Bar's Public Information Office and is offered as a courtesy by RGLLAW. Copyright, The Florida Bar September 2001.